I love a good salad. In college, I was that weirdo who bought bagged lettuce as a snack (and offered it to my friends when they visited!). Of course, back then I didn't know that a well-balanced salad should have protein (my favorite is a hardboiled egg or tofu), healthy fat (like avocado or almonds), and plenty of other veggies (I love mushrooms, celery, and red onions). And the key: Not too many other high-calorie toppings like...well, I won't spoil this for you! What if you were adding extra calories to your salad and didn't know it? I set the record straight on the biggest calorie traps, as well as the best-for-you toppings, in this interview with WomensHealthMag.com. What about salad dressing? Here's how to make healthy salad dressing with ingredients you likely already have on hand. What are your thoughts on this topic? 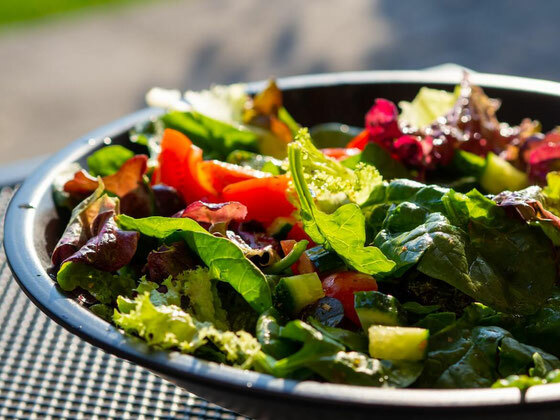 What are your favorite tips for eating a healthy salad? Leave your comments here!